The 2009 Drum Corps International Tour has come to an end, but insider access to the corps you love is still available with brand new content loaded on the DCI Fan Network. In the off season, Fan Network subscribers can watch On-Demand video from the 2009 DCI Tour, as well as 35 years of fantastic performances dating back as far as 1974. Also on the Fan Network you can now purchase brand new Audio Performance Downloads from the Open and World Class Quarterfinals. That's more than 40 tracks you can download to relive your favorite corps' World Championship glory. Just click the "Download Performances" link in the upper left corner of the Fan Network homepage to start listening today. Blue Devils "Get the Feeling" with the Blue Devils for the last time on the 2009 DCI Tour to see how members react to winning their 13th World Championship title. Bluecoats Get a behind-the-scenes look at the Bluecoats before their final show of the season in this Fan Network video. You'll get to see corps members warm up before their performance and listen in on a stirring a capella rendition of the corps' theme song "Autumn Leaves." Carolina Crown In this episode of "CrownMINUTE," meet James-Kyle Damron, Dillon Rolse and other members of the Carolina Crown tuba section to see how they bonded when they weren't busy practicing. Phantom Regiment Wake up with the Phantom Regiment on the day of the World Championship finals to hear members playing the corps anthem, "Elsa's Procession to the Cathedral." Santa Clara Vanguard Catch highlights of the Vanguard's 2009 program, "Ballet for Martha" in this Fan Network viral video edition of "Behind the Star." The all-new DCI Fan Network gives you ultimate access to your favorite corps… At your fingertips… 24 hours a day! 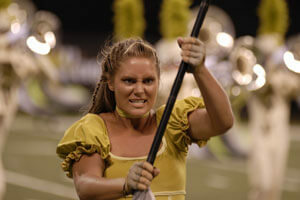 On top of the free viral video content corps have uploaded all season long, Fan Network subscribers have it all, from unlimited access to the Drum Corps International audio/video vault, to discounts on downloadable media, to on-demand replays of select corps performances available from the exciting 2009 DCI Tour. 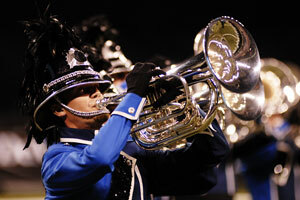 Learn more about the DCI Fan Network and subscribe today!